One of our most popular card ranges is for black cards. 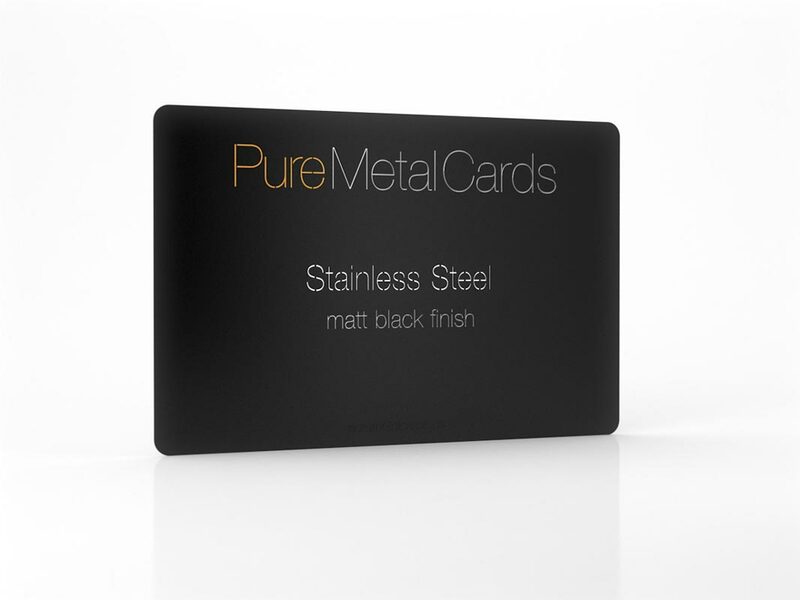 The matt black stainless steel cards makes their mark for anyone wanting to present their brand as being cutting edge and powerful. They are popular for VIP member cards, especially when made in a thicker metal. 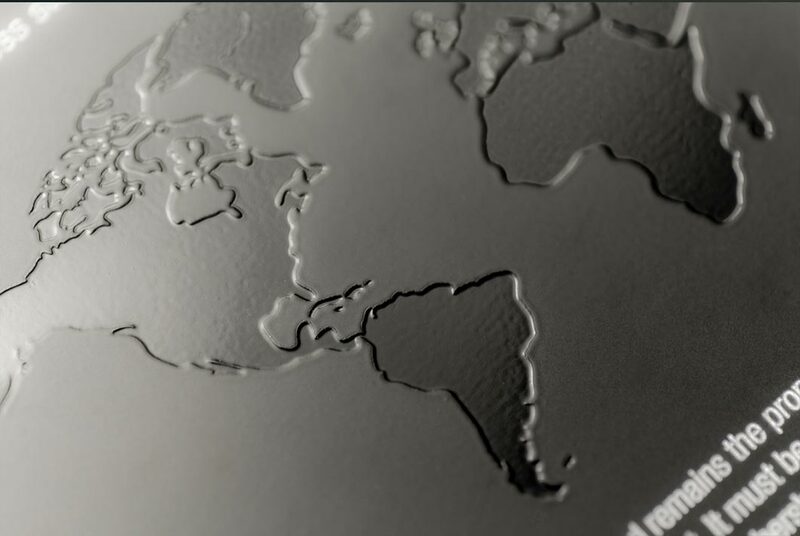 Our cards are made from high-grade stainless steel that will not tarnish over time. Our matt black steel business cards are also available in matt black prism, matt black frosted, matt black contour, matt black brushed, matt black pixel, matt black velvet, and matt black mirror finishes. Pure Metal Cards can also help you to design and create truly individualized metal business cards or metal membership cards. Our graphic design team can help you create your ideal card. Be unique. Unique name, number, date etc. 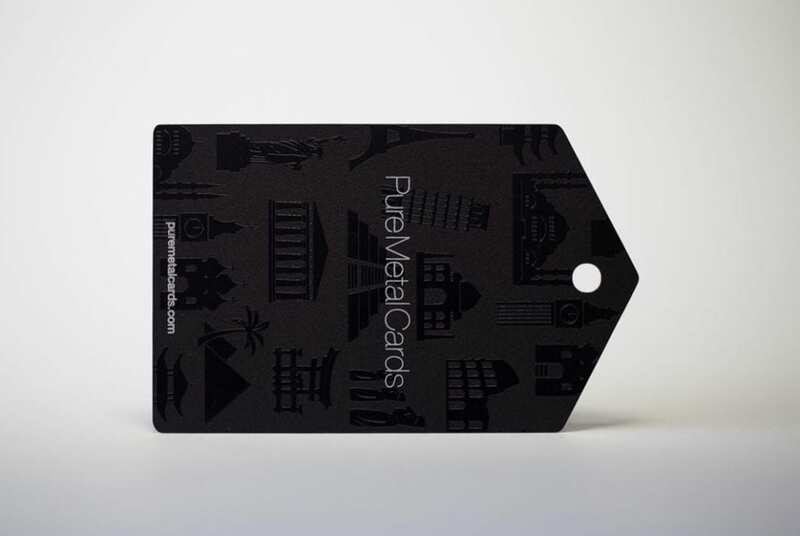 An optional matt black contoured card sleeve in 300 gsm paper is also available. 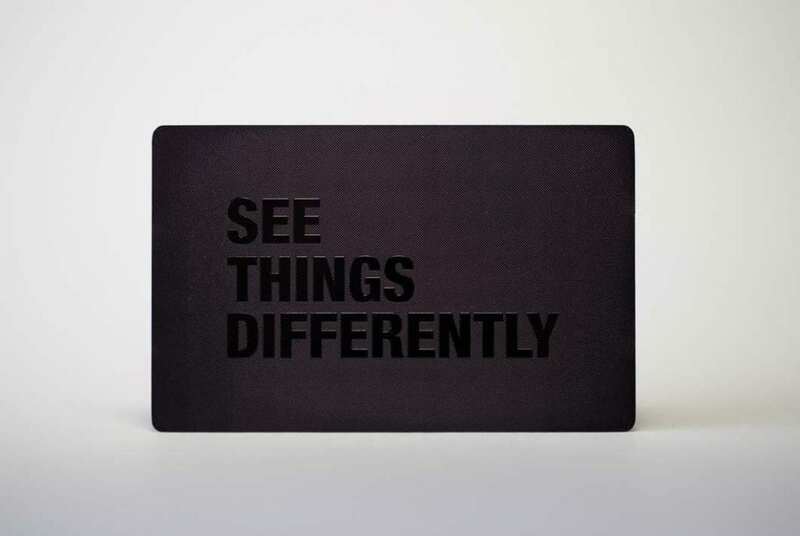 Business cards are shipped in a black wood presentation case with cardboard protective packaging. 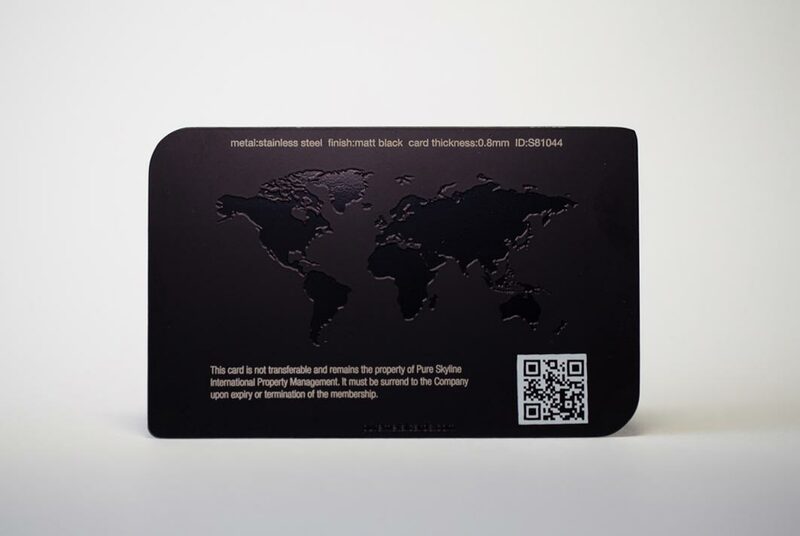 A metal business card is a great way to make a generally normal marketing tool very exciting and different. It has numerous applications for business professionals and marketers in addition to being a simply unique name card. 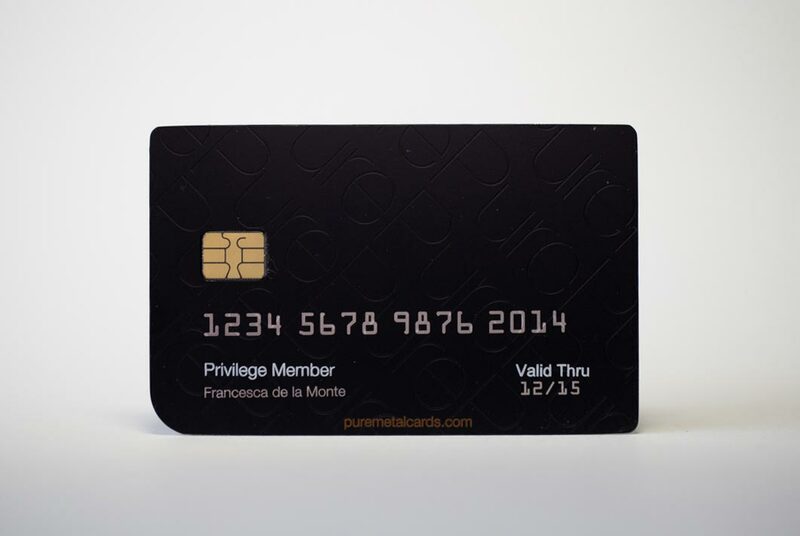 Similarly, as a matte black membership card, cardholders will standout with this special card. 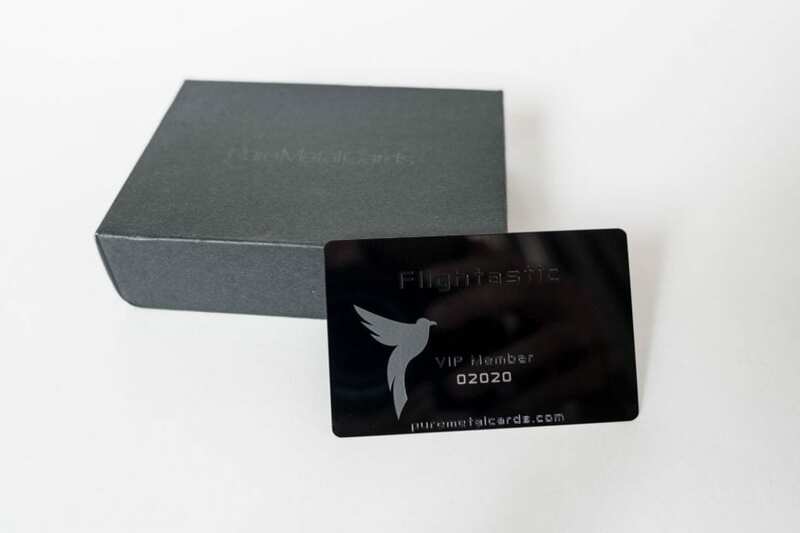 Your cards are shipped in a premium quality high gloss black wood presentation case with a separate cardboard storage box. Each metal card is also individually wrapped in a transparent plastic sleeve. A more minimal design is more effective for the matt black card. We recommend using less text or a simple design in a single color. 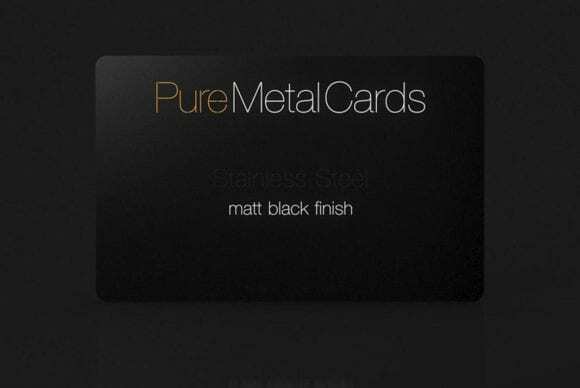 This card offers a different texture to our other matt black metal card choices. 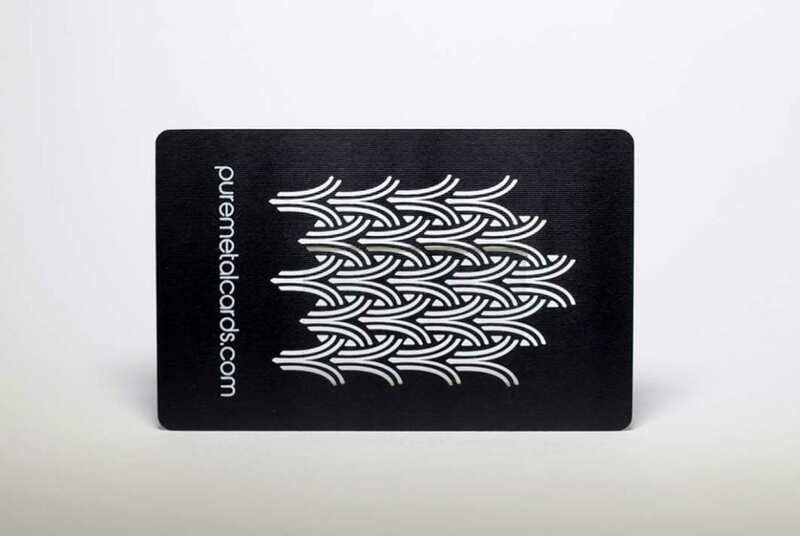 In black, these steel cards look great with a cut thru or die cut type or logo. We may need to make slight amends to your type or logo to ensure certain letters or characters have enough support and are readable. 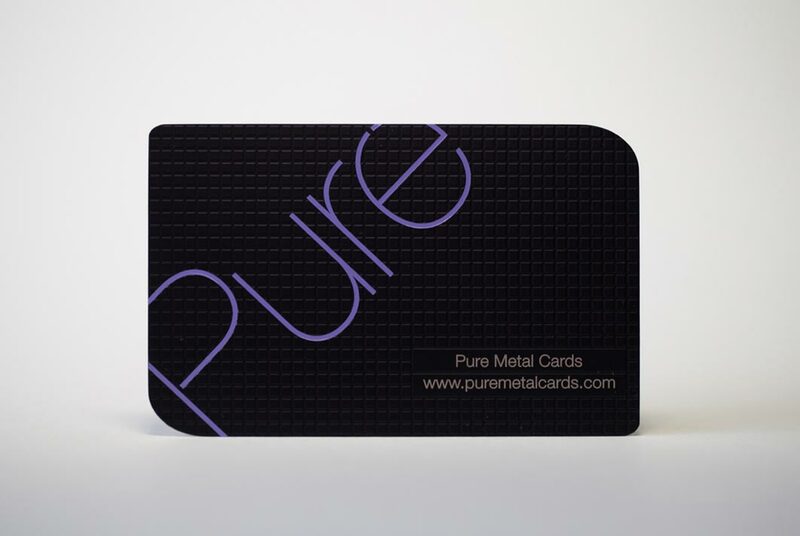 We do provide a design proof for your approval of your metal card design before we start production. In dim or dark light the lettering may be harder to see and be read so we recommend the use of a color on logo and lettering detail. 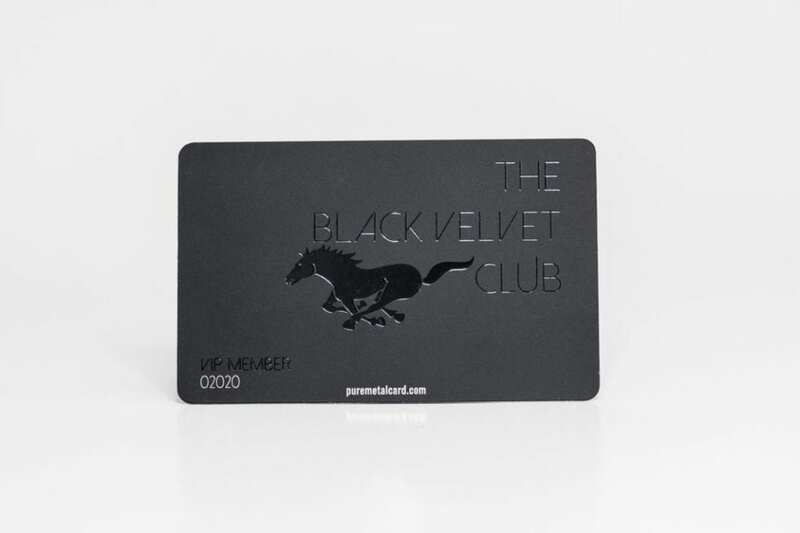 This finish is also very popular for matte black metal membership cards. 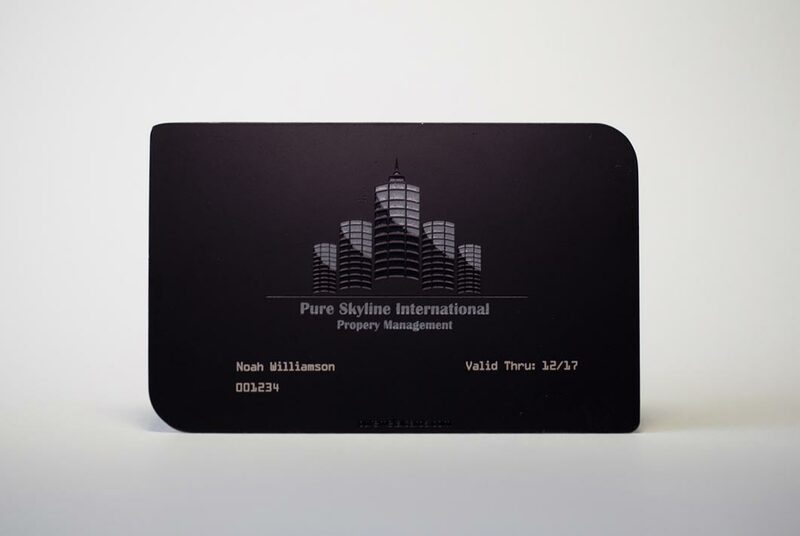 We can add personalization including unique member name, number, date, magnetic strip, barcode, qr code, a smart chip or RFID/NFC chip features on these cards. 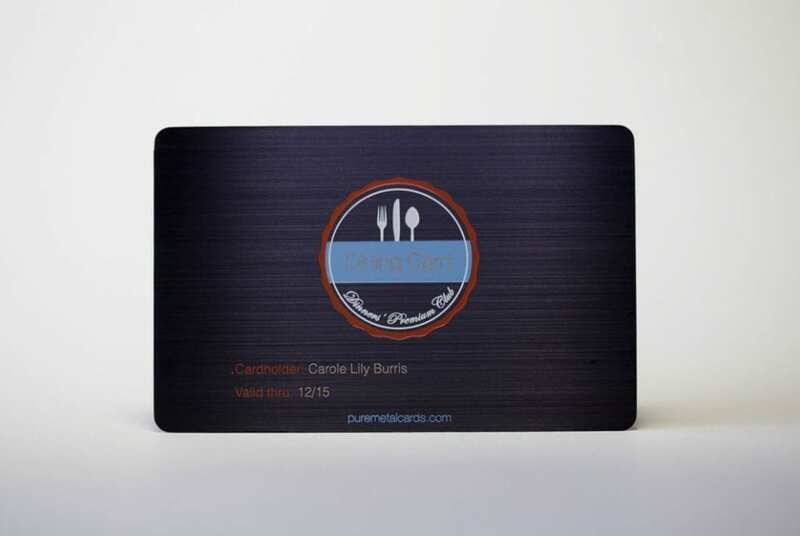 Using metal for your membership cards is a great way to differentiate your brand.